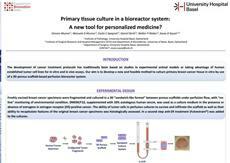 P4-04-19: Primary breast cancer culture in a perfusion-based bioreactor suitable for in vitro testing of immune blockade therapy This is a project in collaboration with the Surgical Department, the Oncology Surgery Lab and the Institute of Pathology at the University Hospital of Basel. PP-110: Maintenance of primary human colorectal cancer microenvironment by culture in 3D perfusion-based bioreactor. Manfredonia C et al. At TERMIS you will have the opportunity to see our U-CUP application in the oncology field! This is a project in collaboration with the Surgical Department, the Oncology Surgery Lab, the Tissue Engineering Lab and the Institute of Pathology at the University Hospital of Basel. 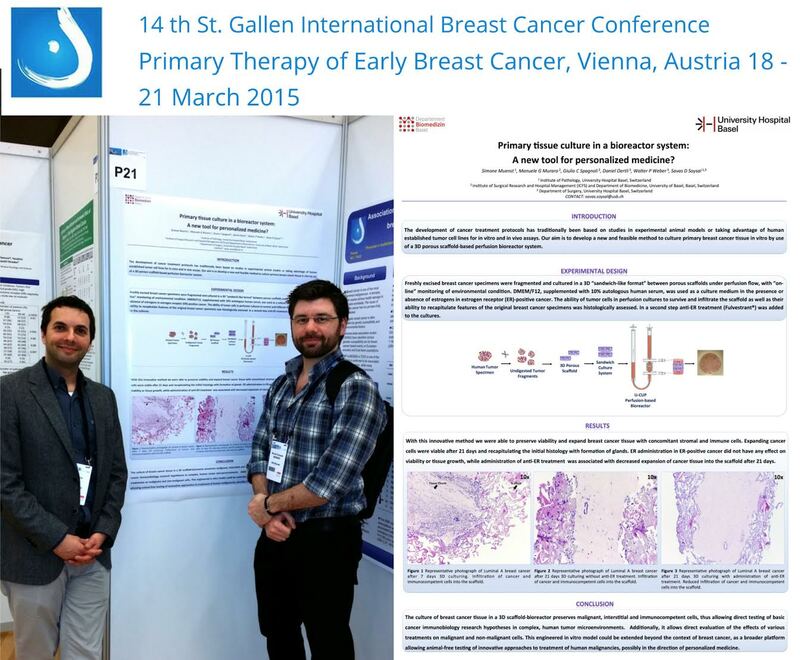 At St Gallen International Breast Cancer Conference you will have the opportunity to see our U-CUP application in the oncology field! Please come and see the poster number #021 “Primary tissue culture in a bioreactor system: A new tool for personalized medicine?” presented by Dr. Simone Muest. This is a project in collaboration with the Surgical Department, the Oncology Surgery Lab and the Institute of Pathology at the University of Hospital of Basel. We are exhibiting at EACR Conference Series with the topic "Goodbye Flat Biology. 3D models and tumor microenvironment", this week in Berlin! If you are attending, we are looking forward to welcoming you at our stand #3. Come and discover more about our U-CUP system for 3D cell and tissue culture! You may also want to attend our poster #80 entitled: "A three dimensional (3D) perfusion bioreactor-based model of colorectal cancer for chemotherapeutic assessment"
Cellec Biotek AG has been awarded with the CTI startup label by the Swiss agency CTI (Commission for Technology and Innovation). CTI start-up label is a seal of quality, a certificate of achievement, and a sign of credibility and readiness for sustainable growth. We are proud to sponsor the 1st international Meeting on Stem cells in development and disease. The meeting is organized by the Basel Stem Cell Network (BSCN) the 9th-10th of September 2014. The meeting will provide a platform for stem cell molecular and cellular biologists and clinicians to present and discuss their latest results, interact and establish collaborations. If you are attending, we are looking forward to welcoming you at our stand #6. Come and discover more about our U-CUP system for 3D cell and tissue culture! We will be exhibiting at European Society of Artificial Organs, the 17th - 20th of September in Rome! If you are attending, we are looking forward to welcoming you at our stand! We will be exhibiting at 9th World Congress on Alternatives and Animal Use in the Life Sciences, next week in Prague! If you are attending, we are looking forward to welcoming you at our stand #45. CELLEC Biotek AG will be represented at 3D Cell Culture 2014 – Advanced Model Systems, Applications & Enabling Technologies	,from June 25 to 27, 2014 in Freiburg, Germany. Please come and learn more about our U-CUP system perfusion bioreactor system	by visiting our stand! 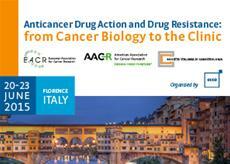 We will attend TERMISEU 2014 Congress	in Genova,	Italy, from June 10 to 13, 2014. Please come and learn more about our U-CUP system perfusionbioreactor system	by visiting our standno. 9! We were present with our U-CUP 3D cell and tissue culture system	in Basel, Switzerland, on May 7 to 8, at the 20th Swiss Conference on Biomaterials and Regenerative Medicine. It was again a pleasure to meet scientists passionate about biomaterials and their application to the field of regenerative medicine! A EUROSTARS funded project called ReMePro has been granted to CELLEC Biotek AG together with the partners of the Italian Company Biorigen Srl, German Company TransTissue Technologies GmbH and the academic partner of University of Genoa, Genoa, Italy. Sysmex Suisse AG and CELLEC Biotek AG today announced an exclusive distribution agreement. Under the agreement, Sysmex Suisse AG is appointed as exclusive authorized distributor of CELLEC Biotek’s U-CUP system for the Swiss market. Dr. Andreas Koch, Sales Manager Life Sciences of Sysmex Suisse, said: “We’re excited in taking the opportunity of proposing to customers a novel solution that could substantially improve the effectiveness and quality of their research." Dr. Werner Enz, CEO of CELLEC Biotek, states: “Signing up Sysmex as a distribution partner confirms the value of our U-CUP system to customers and provides better market coverage for a young company like CELLEC Biotek. We really look forward to working with Sysmex." CELLEC Biotek AG will attend MiMe-Materials in Medicine in Faenza, Italy, from October 8 to 11, 2013. Please come and learn more about our U-CUP 3D cell and tissue culture system by visiting our stand! Come and meet us at our stand during the 2013 Annual Meeting of TEDD - Tissue Engineering for Drug Development at ZHAW LSFM in Waedenswil, Switzerland, on October 22, 2013. U-CUP on display at WCRM 2013 in Leipzig, Germany - 23-25/10/2013 How about learning more about our U-CUP perfusion bioreactor system in Leipzig, Germany, from October 23 to 25, 2013 at World Congress on Regenerative Medicine? A EUROSTARS funded project called ENDOMATRIX has been granted to CELLEC Biotek AG together with the partners of the Italian company HOLOSTEM and the academic partners of University Hospital Basel, Switzerland and Orthopaedic Institute Galeazzi, Italy. CELLEC Biotek AG is sponsoring the 2013 eCM XIV, in Davos, Switzerland from June 23 to 25, 2013. The focus of the conference this year will be on Stem & Progenitor Cells for Musculoskeletal Regeneration.That’s yet another perfect opportunity to discover the unique advantages of our U-CUP system perfusion bioreactor system. CELLEC Biotek AG will attend TERMIS EU Conference in Istanbul, Turkey, from June 17 to 20, 2013. You are warmly invited to visit us at our exhibition booth! Come and discover the unique advantages of our U-CUP perfusion bioreactor system. We are looking forward to meeting you in Istanbul. We will be very glad to receiving you in our exhibition booth (Horfburg Congress Center, booth no. 112, first floor) at the 3rd TERMIS World Congress 2012, which will take place the 5th - 8th of September 2012 in Vienna, Austria. You are warmly invited to discover the unique advantages that our perfusion bioreactor can provide and to the first to have a close look-up of the U-CUP system! Prof. Ivan Martin, Cellec Biotek expert team and of course All of You! A FP7 European funded project called BIOCOMET has been granted to CELLEC Biotek AG together with the several partners from Switzerland, Italy, Germany, Croatia, Canada and U.K.